We’ve had systems that help the MCs make pills, steal skills from legendary masters, and even be forced to show off to earn points, but what about a system that allows one to run a virtual reality internet cafe, featuring all the classic games? Our MC awakens in a new world (Truck-kun strikes again) and finds himself with a mysterious system that allows him to run a fully self-sufficient virtual reality internet cafe! What? 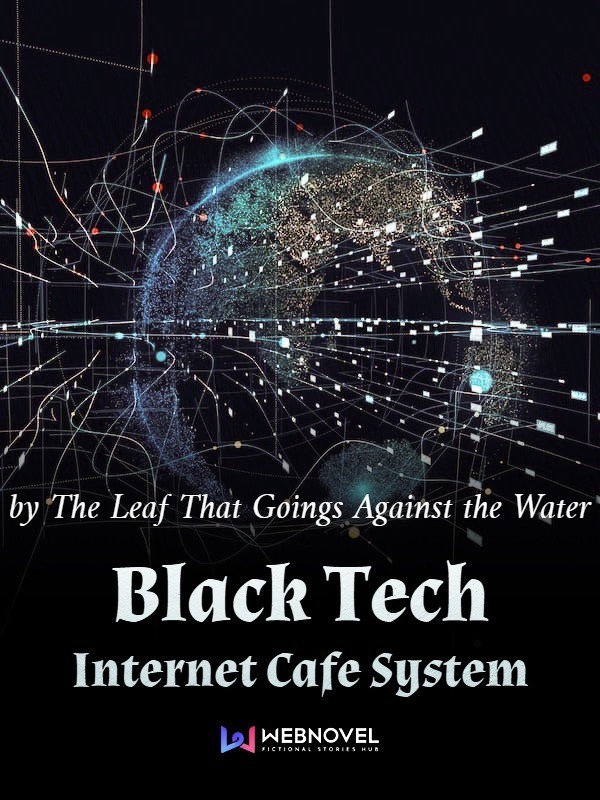 Opening an internet cafe in a cultivator world? You can now surf the internet, watch dramas, and play video games?! What else did the MC bring to the cultivator world? Come join us on this adventure as Fang Qi faces off against cultivation sects and major forces with his collection of modern treasures. This novel is about a guy who finds himself in a body of a guy from a cultivation world. One day he wakes up and gets a system which allows him to start a cafe where cultivators come to eat, drink, and enjoy VR experiences of our favorite video games, TV shows, and movies. Along the way he will progress his cultivation while getting various skills and equipment of the game/movie/TV show characters. Seriously guys, this novel is awesome. It kind of reminds me of Gourmet in Another World, except better. Seeing the culture shock of these ancient cultivators being exposed to these video games, movies, and TV shows is hilarious and very entertaining. The main character is given certain cheats that allow him to protect himself,... more>> but still provides a sense of urgency where we want him to power up his cultivation and techniques. Although this is mainly about the cafe and the interactions between customers, there are still some pretty epic battles as well later on. I've read up to about chapter 550 of the raw using the mtl so while I don't know all the details, I do know most of the important stuff regarding this novel. The games can get a little bit repetitive in regards to how things play out, but I still continue to find it very entertaining. My BIGGEST problem with this novel is the sheer amount of characters that are introduced that we are expected to remember. I swear, in the current chapters I'm reading, I only know who, like, half of the characters are. Yes the mtl does make it harder to remember people but I wanna say there are like 30+ reoccurring characters to keep track of (and that's a conservative estimate). Some characters, such as Song Qingfeng, show up regularly so I know who they are, however, some characters that only pop in once in a while leave me racking my brain trying to remember them. Also some characters get dropped and completely forgotten, as if the author realised there were too many characters to juggle and so he got rid of some. Yeah, it can be annoying for sure but not big enough to make the novel bad by any means. It's a good read. Not the best, but I can confidently say we have all read worse novels. Although it sounds at times you are being regurgitated an specific X game walkthrough, and the novelty in which it is narrated is not exciting, if you are a gamer; you will like it. ... more>> If you read previously Gourmet of Another World - or any other related 'system in cultivator world' kind of novel, this is for you. It's an intriguing take, but a somehow overused genre. This story consists of an MC in a Xianxia world allowing the people to play virtual reality versions of games in our world. The story consists of people threatening to destroy his shop for having such high prices, then of people trying to buy his computers, then giving in and dragging more people to play with them. Every chapter or so, this cycle repeats. It's funny at first, but it gets redundant and repetitive. The MC doesn't have much development or show much about him other than he likes playing games.... more>> This is also true for the other characters but with some trashy family drama common to Chinese novels thrown in. As for story development or world background, there really isn't much more than what I've said. Another weakness this series has is when it makes shocking comments about girls getting easier gaming modes or needing to avoid horror and gore games. This is jarring and throws me out of what I'm reading. I love horror and gore. I've dissected human cadavers and assisted with surgeries on living people. What does being a girl have to do with anything?... Of course, even I have to admit that the female characters in the world of this web novel are even more annoying than the male characters, which is really saying something. The MC got Infinite Rocket Launcher from Resident Evil in Real Live but only used it once, and never mentioned again in the story. The MC got Pegassi Osiris (GTA V car) in Real Live, ride it once to pick up Jiang Xiaoyue (his first employee) from school and never mentioned again. As of this writing, the translation of this series is just getting off the ground, and my overall impression remains to be seen. It's a little too early to be scoring it, but I'll give some initial thoughts. Obviously this is one that will be read for its ridiculous premise. It's funny so far, but the synopsis is a bit of a misdirection. People in a traditional cultivator world drinking Sprite and saying "What is this sorcery?" sounds hilarious, but in practice it's mostly about the customers playing existing games from... more>> our world on the cafe computers. Of the first 35 chapters, the vast majority of the time is spent talking about the first Resident Evil game. In a sense this isn't so different from the novel Terror Infinity, in that there's a lot of unprofessional piggybacking on and gushing over other intellectual properties. While I'm not too fond of that, I can understand that a series about a net cafe is going to be about games. But there's a line between referencing the games that are being played, and making your novel crossover fan-fiction, and I think that line is crossed when the protagonist is rewarded with a Resident Evil T-virus to inject himself with. I don't want this to turn into another series where everyone is using magical techniques stolen from some other writer's copyrighted material. There are a few other bad signs. I want to learn more about the world where this internet cafe is, to see the contrast between Earth technology and their fantasy world. But it's slow on the world-building. We aren't really told how long it's been since the protagonist came over to this world, either; we just jump straight into his first day with the cafe. And the cast of characters is already starting to spiral out of control without us really getting acquainted with more than two or three of them. Each time a new customer is introduced, the whole process is repeated of them getting scared and killed by the first zombie they run into, and so on. Read this to the end. This novel is fantastic till the end. The epilogue is bittersweet, but the final battle is very disappointing. It's also weird how the world has cultivators and there is immortality in the novel, but the MC never cultivates nor does he want to cultivate. I should have waited longer before starting this one. This novel is a fun concept so far. I recommend it, but I also recommended waiting for a few hundred chapters to get translated before starting.